Something that I love about the Android development community is that developers are always looking for the newest thing to beef up current devices. 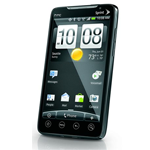 The case of HTC's Sense 3.5 is no different. The newest iteration of HTC's overlay was obtained from a dump belonging the HTC Bliss, a yet-to-be-released phone that will come with Sense 3.5 baked in. Ostensibly a split-second later, Senior XDA developer Evokings got 3.5-based ROM to the EVO 4G. The new version of Sense is already available on the Droid Incredible, the Incredible 2, and a few other HTC devices. Improving on its predecessor, Sense 3.5 uses the ring-style lockscreen, allows for landscape viewing of homescreens and the app drawer, and new notification options allowing users to create resizable widgets to display various notifications right on the home screen. It's important to note that the ROM is still at Beta V1, and problems/bugs are to be expected. The general response from early adopters is a good one, most commonly citing Wi-Fi, camera, occasional rotation issues, and SD mounting problems (for which there is a fix in the XDA thread). A full list of known issues, as well as more detailed ROM information should be available soon. If you're a rooted EVO 4G user itching to try the latest version of Sense, head to the official thread over at XDA.